Don't call it a comeback (yet), but for the third week in a row, PlayStation 3 software sits atop Japan's bestsellers list. Last week it was Resident Evil 5; the week before: Yakuza 3. This week? 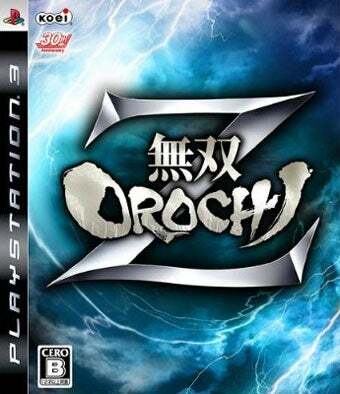 Musou Orochi Z, the latest crossover from Koei and Omega Force that blends the Dynasty Warriors and Samurai Warriors series, as they're known in the West. Musou Orochi Z knocks down last week's champ to the number two spot, with Resident Evil 5 moving another 61,000 copies on the PS3. Other new debuts include the three-dimensional puzzler Rittai Picross and the Wii rehash of Pikmin 2. Resistance: Retribution manages to crack the top ten, thanks to strength of the PSP and the fact that the Resistance series actually sells pretty well overseas. Far less impressive was the Japanese debut of Sonic and the Black Knight.